Perhaps the most important way to protect children from experiencing sexual abuse is to have more than one adult present at any program/event for children (anyone under the age of 18). Thus, this policy contains a two-adult rule. These two adults, called “Approved Adults” for the purpose of this policy, will have attended the congregation for at least 6 months, have undergone background checks, and received training to understand issues relating to sexual abuse and how to respond if there are suspicions or disclosure of sexual abuse. Other adults are encouraged to participate with children’s ministry, but at least two in each setting must be Approved Adults. In a mixed gender group of children, care will be taken to have both a male and female approved adult present when possible. The church will track who is an Approved Adult and periodically request renewal of background checks. If children are going to be participating in an activity off of church property, parents will give specific written permission for this to occur. Drivers for events must be at least 21 years of age. Our youth mentoring program will continue, and will be an exception to the two-adult rule. A log of mentoring activities will be kept by mentors, and the child’s parent will sign each event log to indicate that they are aware and approve of the activity. The CPC will review these logs every 6 months. Mentors are encouraged to plan activities that occur in public spaces, at reasonable times of the day. In other words, good judgment is expected. Because abuse typically occurs in privacy and when an adult is alone with a child, persons possessing a key to the church will sign a covenant stating that they will not use the key to enter the unoccupied church building with a child other than one for whom they are legal guardian. This is to prevent a situation where an adult is alone in the building with a child. 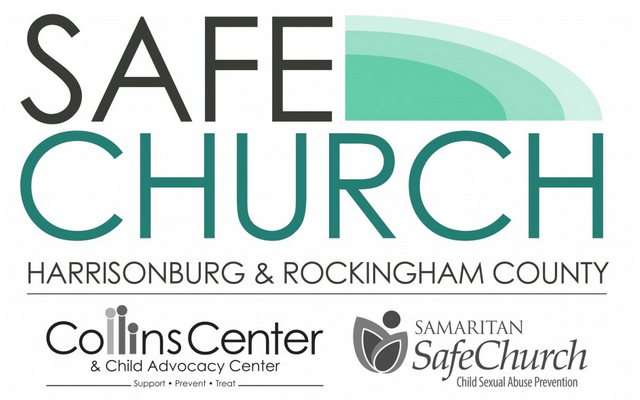 Our congregation will make space for known sexual offenders to worship God with us, but will do so in a way that keeps our children safe from the risk of harm and that protects the known offender from being in a situation where someone might accuse them of improper behavior, be that grooming or offending. The congregation will provide trained chaperones to accompany the known offender while they are on church property, and will provide “covenant partners” who will meet regularly with the known offender for spiritual, emotional, and practical support. Church staff and approved adults, while not legally mandated reporters of suspected child abuse, will be considered both morally and ethically to be such. The policy outlines steps to report suspicions directly to authorities and/or to report to the pastor or CPC chair who will then report to authorities. If the suspected perpetrator is from within the congregation, the policy outlines clear steps that the church will follow during any subsequent investigation by authorities. A significant piece of the policy relates to on-going education and training regarding child sexual abuse. Staff and approved adults will be expected to attend training arranged for by the Child Protection Committee on an annual basis. There will be at least one event annually where parents and other congregants will be offered child abuse awareness education. Our children will receive education using the Circles of Grace curriculum at least once every two years.